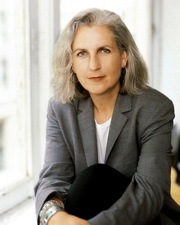 Evening at Egan 2010 Season Kick Off: Terry Tempest Williams, UAS Egan Library, Friday, September 10, 7:00 p.m. The annual Evening at Egan Fall Lecture and Presentation Series starts this week at the University of Alaska Southeast with author and activist Terry Tempest Williams. Williams is a “a citizen writer,” who speaks out on behalf of an ethical stance toward life. A naturalist and fierce advocate for freedom of speech, she shows how environmental issues are social issues that become matters of justice. Williams’ presentation will include readings from her works, an on-stage discussion with a faculty member and audience Q and A.
Terry Tempest Williams is the author of environmental literature classics including Refuge: An Unnatural History of Family and Place, An Unspoken Hunger: Stories from the Field, Desert Quartet; Leap, Red: Passion and Patience in the Desert and The Open Space of Democracy. 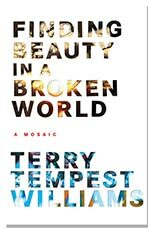 Her latest book, Finding Beauty in a Broken World, was published in October 2008 by Pantheon Books. In 2006, Williams received the Robert Marshall Award from The Wilderness Society, their highest honor given to an American citizen. Terry Tempest Williams is currently the Annie Clark Tanner Scholar in Environmental Humanities at the University of Utah. She and her husband, Brooke Williams, divide their time between Castle Valley, Utah and Jackson Hole, Wyoming.